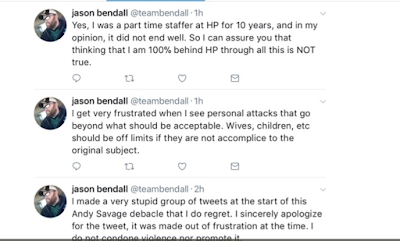 Yesterday morning I was made aware of tweets by Jason Bendall. 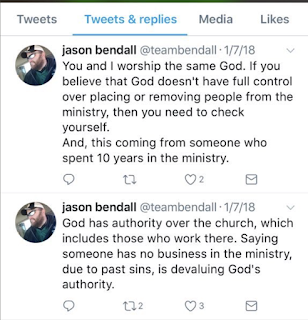 Jason is a former minister at Highpoint Church and current Highpoint Church member. 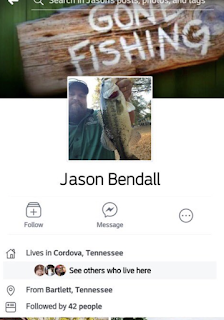 According to his Facebook bio, he worked at Highpoint Church as the Recreation Director. 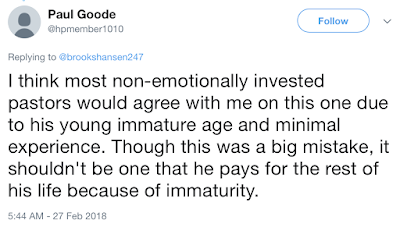 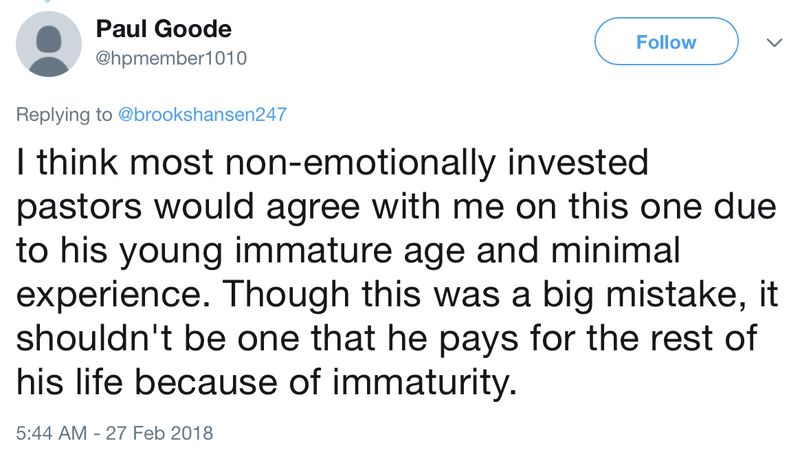 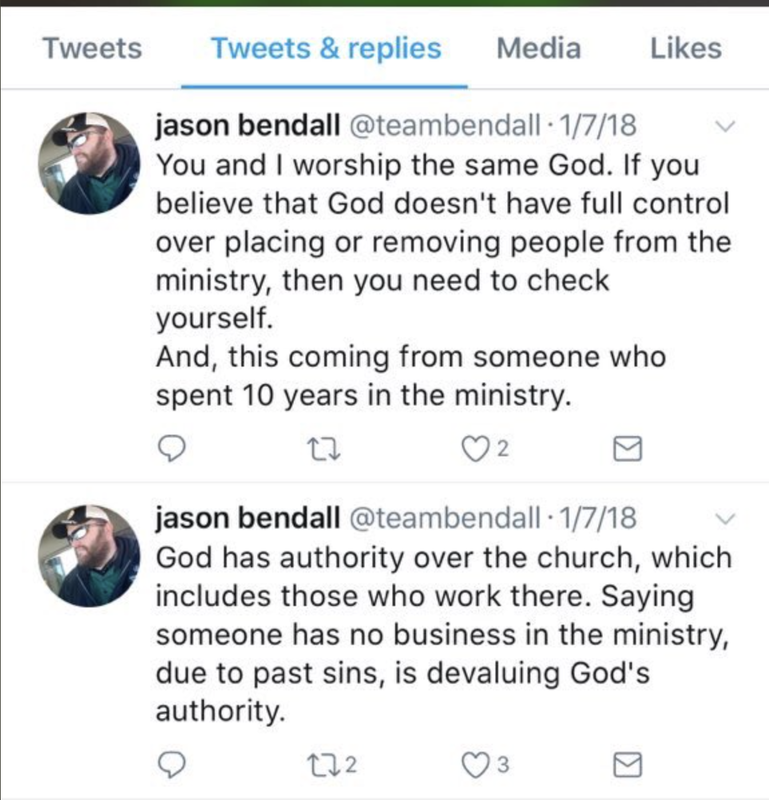 He tweeted that he was on staff at the church for 10 years. 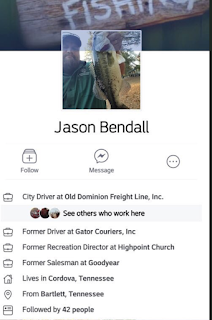 After exposure yesterday, he deleted mention of Highpoint as his past employer, as well as his current employer, Old Dominion Freight Line. 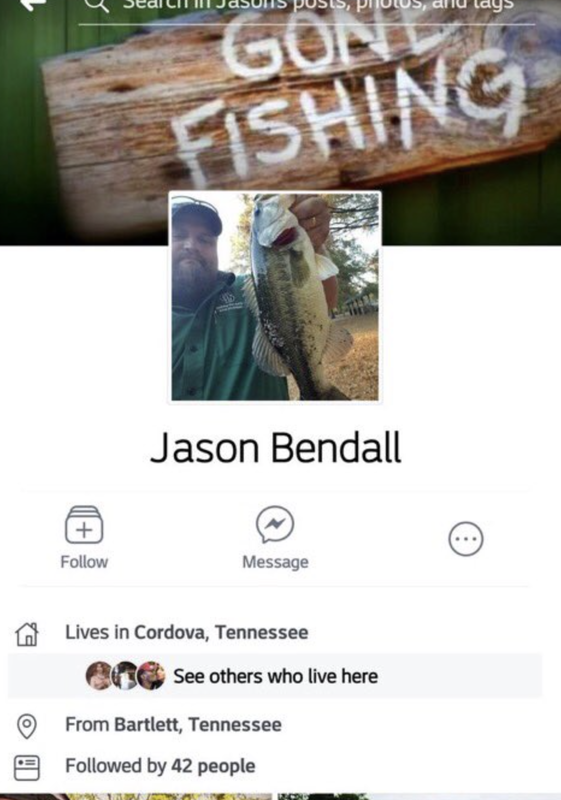 I had never heard of Jason before yesterday when I discovered he had preemptively blocked me and many others who had been sharing Jules' story of sexual assault by her then youth pastor in TX, Andy Savage. 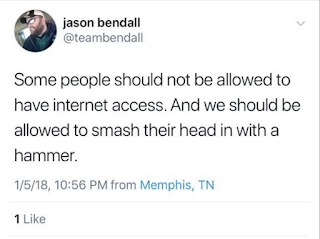 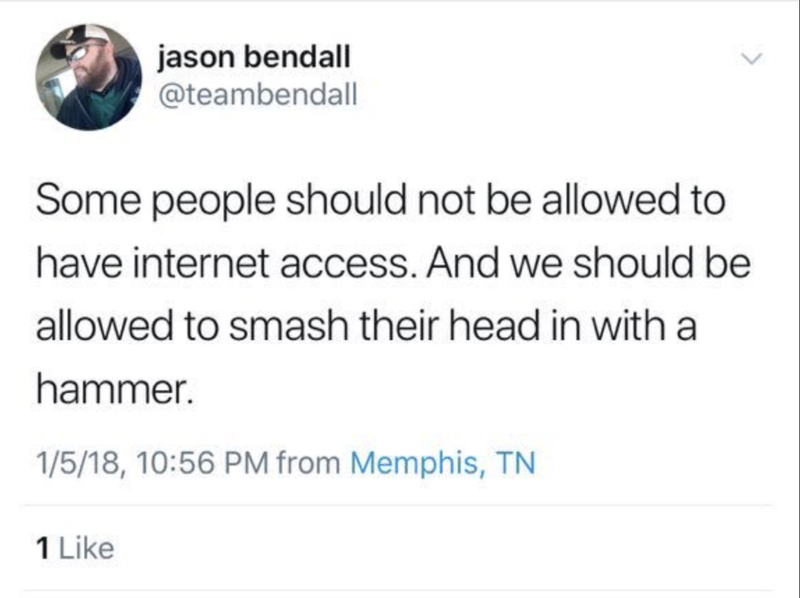 Below are screenshots of tweets by Jason Bendall. 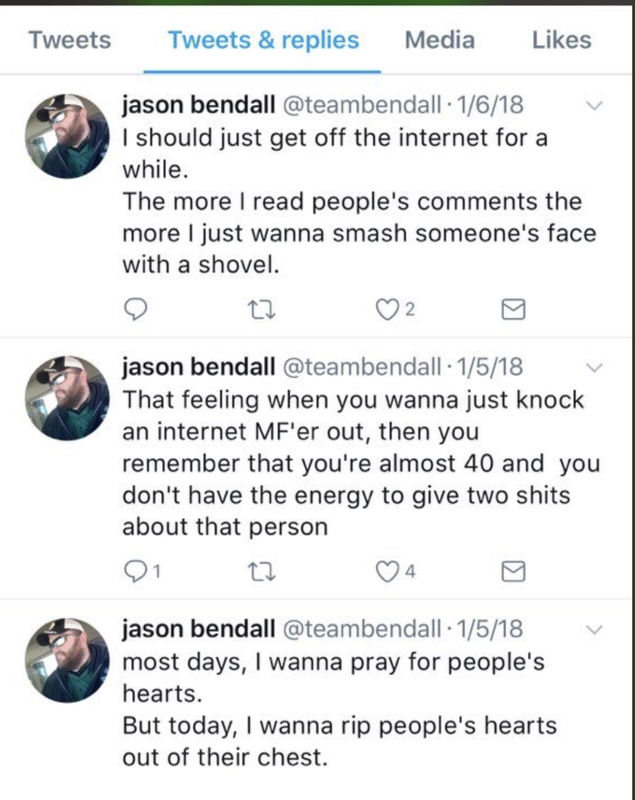 After exposure of his threats yesterday, he deleted these tweets. Another Highpoint Church member has been defending Andy Savage's sexual assault of Jules as a "mistake." 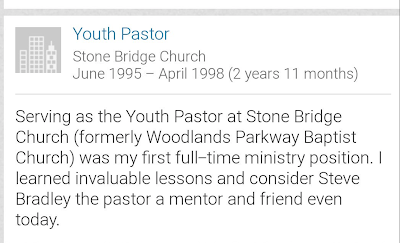 There also seems to be some confusion about Andy Savage's position at Woodlands Parkway Baptist Church, now Stonebridge Church. Andy was a full time youth pastor, not a "college intern" as Paul Goode insists. 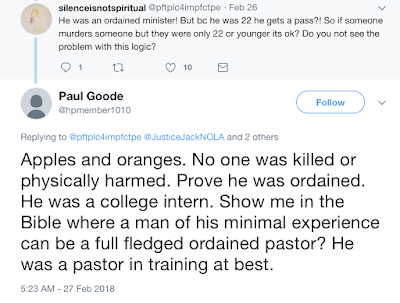 A few weeks ago I received an email from someone who stated that he attended Andy Savage's ordination at Germantown Baptist Church. 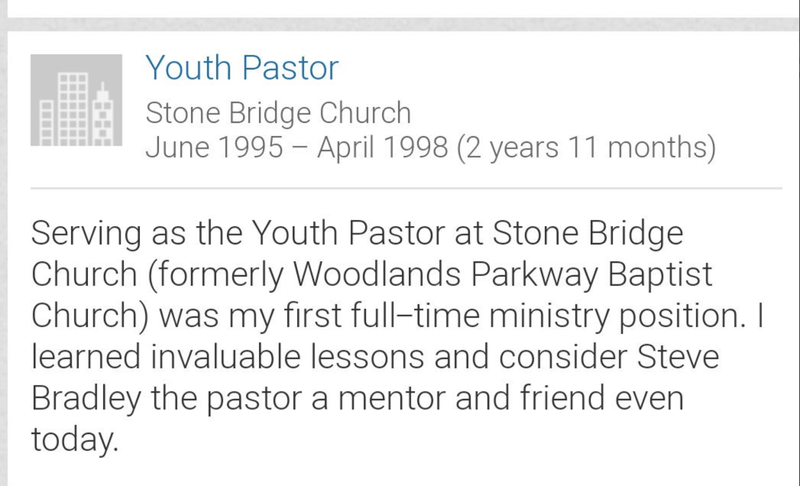 Others have told me that they have received confirmation that this ordination took place in December of 1995.